Certificate of Courage (below) and hang it up for all to see! Download this PDF and print out your own charts. 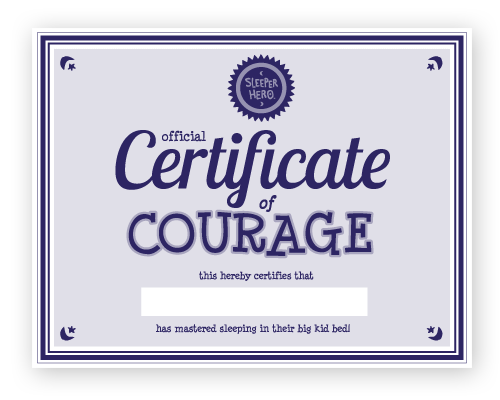 Print out your very own Certificate of Courage once you and your child have built up a solid sleep routine worth rewarding. Print your own SleeperHero coloring page for your child.